The US Court of Appeal for the 2nd Circuit ruled yesterday that the estate of famous comic book illustrator Jack Kirby could not terminate the copyright license held by Marvel Comics and Disney corp. (Marvel/Disney). 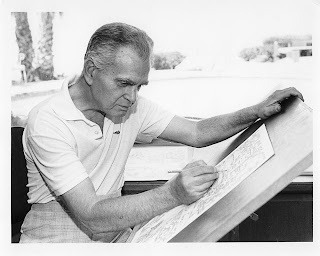 Jack Kirby is known as one of the most prominent comic book illustrators of all time. He began his career as an illustrator in the 1930s when he created the now famous Captain America series. At issue in this case were drawings Kirby did between 1958 and 1963. Jack Kirby’s children sought to apply the complicated “termination provision” found in §304 17 USC. This provision allows the owner of a copyright protected work to terminate any assignment or license agreement after a defined period which depends on whether the work was created before 1978. This provision came into force with the 1976 reforms to US copyright law. The goal of the provision was to balance the playing field between authors and non-author copyright owners. In desperation, authors would often sign onerous agreements that were drafted by, and slanted heavily in favour of publishers. §304 gives the original copyright holder the ability to, without fear of breaching contract, terminate any license or assignment of their copyright protected work. In other words, the author would get a second kick at the can to profit from his or her creations. Kirby was not an employee of Marvel and did not receive benefits or fixed salary. Further, while much of the work Kirby did for Marvel was delegated directly by Stan Lee (the former chairman and president of Marvel Comics) and others, some of his artistic output that made it into Marvel comics were entirely fruits of his own mind. Marvel/Disney therefore argued that his works fell under (2). the 2nd Circuit’s legal test to determine whether a work is a work for hire is whether the work is created “at the instance and expense” of the hiring party. The court must also look at the degree of control exercised by the hiring party over not only the final product, but the general manner in which the tasks are carried out. In this case, the US District Court for the Southern District of New York found that there was enough control over Kirby’s output to consider his drawings works for hire. Kirby’s estate appealed the District Court’s decision in which Judge Colleen McMahon granted summary judgment in favour of Marvel/Disney, disallowing the Kirby Estate’s claim. The appeal court agreed with the Trial Judge and dismissed the Kirby Estate’s appeal of that ruling. This is not the first time Marvel has litigated this issue. Just two months ago in June, the 2nd Circuit Court of Appeal vacated and remanded a trial judge’s ruling over the ownership of the copyright in the Marvel character “Ghost Rider”. Gary Friedrich, the artist that created the Ghost Rider character sued Marvel for copyright infringement after the 2011 release of a Ghost Rider movie starring Nicholas Cage. The Court found that the trial judge erred in granting summary judgment in favour of Marvel given the ambiguity of the terms of the latter’s agreement with Friedrich. That matter is yet unresolved.